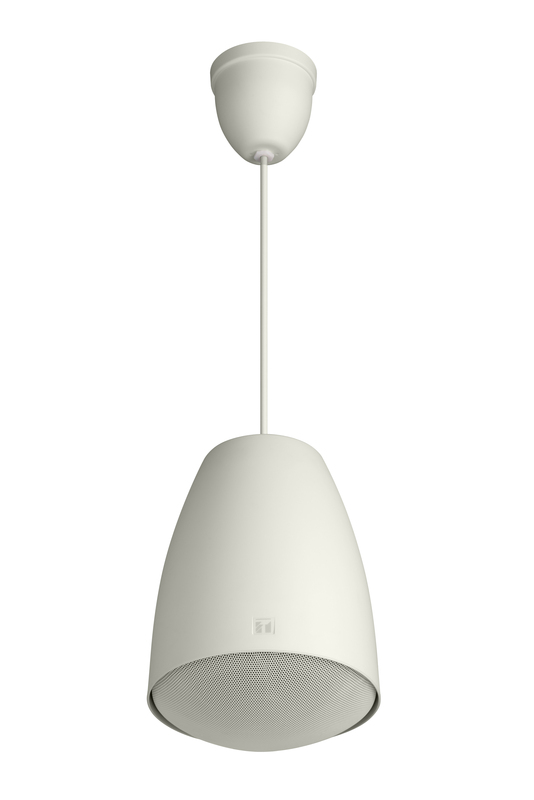 The PE-304 is a pendant speaker designed for ceiling suspension installations. Considered in architectural design, it can blend in with lighting equipment. A directly-attached 5 m (16.4 ft) cable allows the speaker to be suspended from the high ceiling. The PE-304 is driven on both high-impedance (100 V and 70 V) and low-impedance (8 Ω) lines. The input power (impedance) can be easily changed at the upper side of the speaker. The speaker is easy to repaint so as to meet a wide range of design needs.